Bollywood diva Shilpa Shetty has not been active in Bollywood in recent times, but her constant public appearances and social activities have kept her stardom intact. Shilpa was snapped as she came out of a fashion store in Mumbai on October 12, 2017. 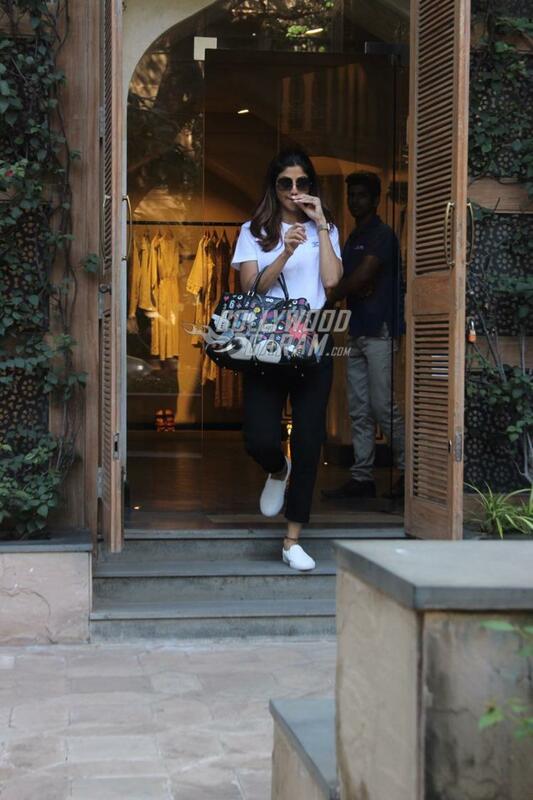 The Dhadkan actress looked trendy in a simple white t-shirt and black pants with white sneakers. The actress-turned-entrepreneur completed her look with a pair of cool glares and was all smiles for the shutterbugs. Shilpa was recently in news when a few bouncers of a restaurant attacked the paparazzi as they clicked pictures of the actress when she made an exit. The incident had injured a couple of photographers and a police case was filed against the bouncers who attacked the photographers. The Auzaar actress who at that time did not mind being clicked by the paparazzi had condemned the incident. 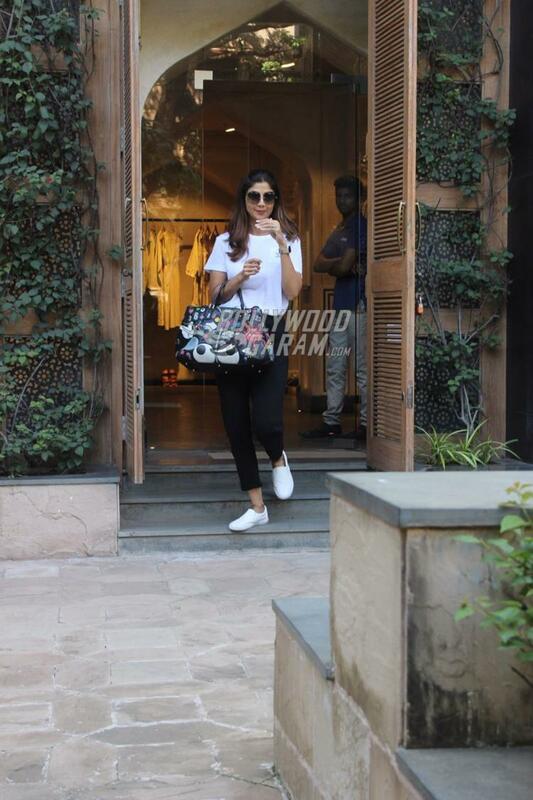 Exclusive photos of Shilpa Shetty at a fashion store in Mumbai!